NASHVILLE - U.S. Rep. Scott DesJarlais is reporting he raised nearly $140,000 during the first quarter of 2016, as the once-embattled South Pittsburg Republican continues to pick up support from businessmen and others in his 4th Congressional District District GOP primary with challenger Grant Starrett. DesJarlais' Jan. 1 through March 1 disclosure shows the three-term incumbent, nearly felled by personal revelations in his 2014 GOP primary race with Jim Tracy, raised $137,045 with contributors including Rutherford County Mayor Ernest Burgess ($1,000) and a major Tennessee Republican fundraiser, Stephen Smith ($2,700). After spending $31,898, DesJarlais had $345,979 in cash on hand as of March 31. Other DesJarlais contributors include: Cleveland businesswoman Brenda McKenzie ($2,700); state Sen. Mark Green, R-Clarksville ($1,000); Chattanooga businessman Greg Vital ($1,000); National Health Care Corp. Senior Vice President David Coggin of Murfreesboro ($1,000); McKee Food President Mike McKee of Collegedale ($1,200); state Rep. Billy Spivey, R-Lewisburg ($500 personal and $1,000 PAC) and state Rep. David Alexander, R-Winchester ($250). AT&T's PAC gave $1,000 while the American Bankers Association PAC gave $2,500. Contributing $5,000 was the House Freedom Fund, a PAC operated by the House Freedom Cause, a hardline-group of conservative U.S. representatives. The Federal Election Commission deadline for filing first quarter disclosures ison Friday. DesJarlais spokesman Robert Jameson said in a statement the congressman "continues to enjoy broad support from folks all across Tennessee's Fourth Congressional District. 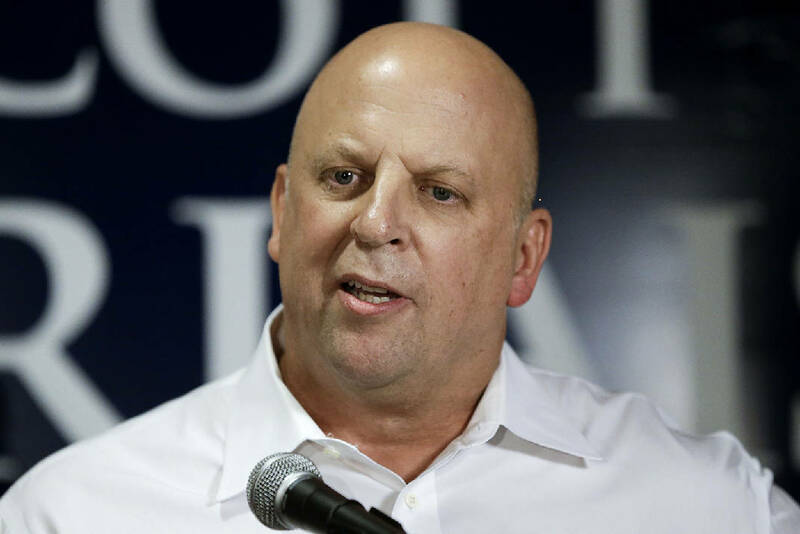 Throughout his tenure in Congress, Congressman DesJarlais has shown time and time again that he is a proven leader who has championed conservative values in Washington." Starrett, an attorney and conservative activist who has loaned his campaign substantial sums as well as attracting contributions nationwide, has yet to report. In his year-end report filed in January, he reported cash on hand of $728,773 as of Dec. 31, 2015. Last cycle, DesJarlais was embroiled in controversy over revelations from his pre-political-career personal life where divorce records showed he'd pressured a former patient he'd had an affair with to get an abortion and had agreed to two abortions with his then-wife. Ranked among the most vulnerable incumbents in 2014, he survived a bitter fight with Tracy, a state senator from Shelbyville, scraping through with a 38-vote victory. DesJarlais told constituents that he'd found a new religious faith prior to running for Congress, his first race was in 2010, and asked voters to judge him on his record and not his past. Politico has ranked him as one of the top five vulnerable incumbents in the 2016 cycle. Starrett has attracted much attention from national conservative groups and conservative radio talk show hosts.